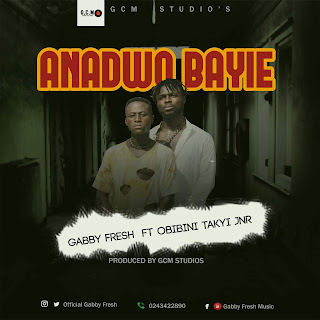 The new signee of Garden city music "Gabby Fresh drops his much awaited track dubbed"Anadwo Bayie.He used his unique singing style to tell stories in a unique and captivating way through this song. He launches his first album last year at the age of 15years and now out with this first single of his 2019 album.Anadwo Bayie.He featured obibini takyi jnr (OTJ) the boso powder hit maker who comes through with his gifted style.Production was professionally done by G. C. M Studios. Watch the visual of Gabby Fresh performing Anadwo Bayie with Obibini Takyi jnr.Video directed by awaga1.